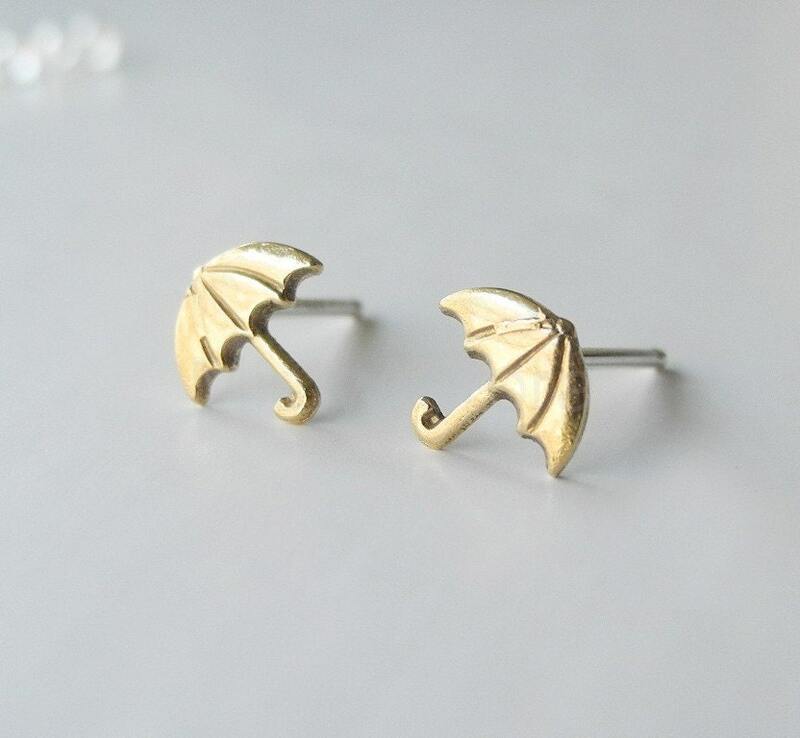 Two tiny brass umbrellas soldered (not glued) on sterling silver earring studs. 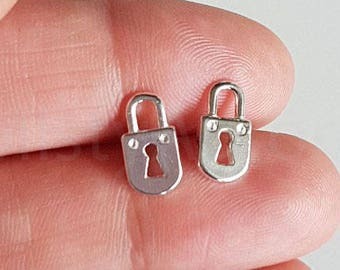 I both tumble and hand polish them to a shiny finish, but as is natural with brass, they will tarnish and darken over time. A commercial brass polishing cloth can restore their warm golden glory at any time.